CB compact balances can manage most small weighing tasks, such as measuring compounds in chemistry classes, portioning at food service establishments, or weighing small animals. Compact and portable, the CB transports easily to the field, or from bench to bench in a science classroom. The CB is powered by battery or an optional AC adapter. A sealed keypad and one-piece housing make the CB simple to clean, and help protect internal components from dirt and spills. The grade 304 stainless steel pan can be wiped down quickly and accommodates either single items or bulk powders. The CB compact balance is a basic-level weighing scales ideal for use in school classrooms. The balance is portable and lightweight for easily transporting to different classrooms. The durable ABS plastic housing and stainless steel top pan allow the balance to withstand rigorous use. The CB can be used as a standard kitchen scale and is often used for small food portioning tasks with grams and ounce measurements. 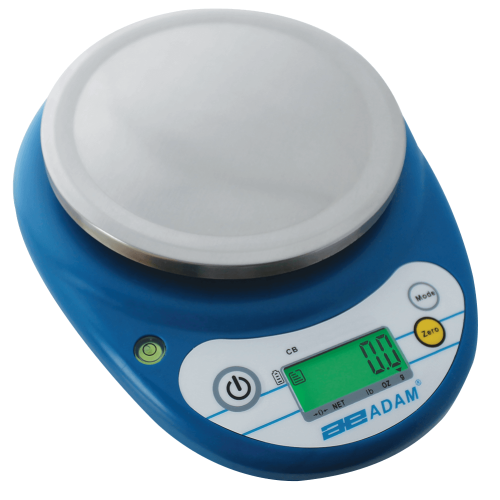 Whilst CB balances lack the professional level features found on other Adam scales and balances, this device can be used to reference weigh small animals and pets informally.